Our firm handles a full range of litigation matters, including divorce, child custody and support, modification proceedings, prenuptial agreements, grandparent visitation, paternity, civil, administrative proceedings, contract, personal injury, products liability, insurance defense, civil rights, criminal proceedings and white-collar crime. Terri L.B. Partridge and Terence K. Ankner are multidimensional professionals who advocate for their clients every day, in court and at the negotiating table. Our firm's streamlined size allows us to provide the personalized and prompt attention each client deserves-and to keep our rates manageable. Creativity and tenacity are what sets us apart from other litigation law firms. Terri L.B. Partridge, who heads the firm's family law group, has held the highest Martindale-Hubbell rating, AV, since 1996. She has been, again, listed as one of the top Family Law Attorneys in Massachusetts Super Lawyers 2010, as seen in Boston Magazine November 2010 and at superlawyers.com. 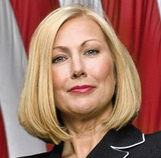 Throughout her 21-year career, she has handled numerous divorce cases involving complicated issues such as the validity of postnuptial and antenuptial agreements and trusts; and the valuation of closely held businesses, alternative investments, trusts, unique real estate, and various types of business entities. In addition to her busy divorce practice, she represents clients in child custody, paternity , grandparent visitation, post-divorce and related actions. Terence K. Ankner has handled some of the most complex and high-profile civil and criminal cases in the United States. He honed his litigation skills under world-renowned trial attorney F. Lee Bailey and offers his clients an unparalleled depth of experience in complex, high-profile cases. A highly successful civil litigator, Terence K. Ankner has won many multimillion-dollar recoveries for his clients. He has litigated complex multiparty civil cases in courts nationwide, often drawing on the firm's relationships with premier litigation lawyers in every major U.S. city and internationally. Many of Terence K. Ankner's clients are small-to-mid-size businesses, both family-owned businesses and closely held corporations. The law office of Partridge Ankner LLP will represent your family legal matters. -Massachusetts Bar Association (Family Law Section). For 24 years, Mr. Ankner has litigated complex multiparty civil cases in courts across the United States. His experience includes representation of Plaintiffs in the high profile Lockerbie Pan Am Flight 103 cases, in the TWA Flight 800 crash off Long Island, and in a wrongful death/product liability case against a national manufacturer of children's products. As an experienced and successful civil litigator, Mr. Ankner has won many multimillion dollar recoveries for his clients. Mr. Ankner is active in numerous professional and civic organizations, including the Bob & Anne Woolf Charitable Foundation and Heritage Plantation, where he is a member of the Board of Incorporators.